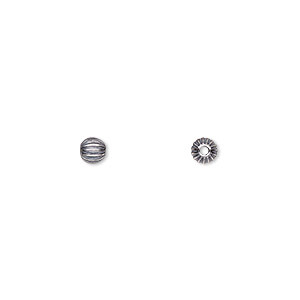 Bead, antiqued sterling silver, 6mm seamless corrugated round. Sold per pkg of 10. Item Number: H20-7331MB Have a question about this item? Sterling silver beads have a classic look with wide appeal, and add the beauty and value of precious metal to jewelry designs. Corrugated round beads have an antiqued finish and are suited to variety of attractive applications. Bead, antiqued sterling silver, 6mm seamless corrugated round. Sold per pkg of 100. 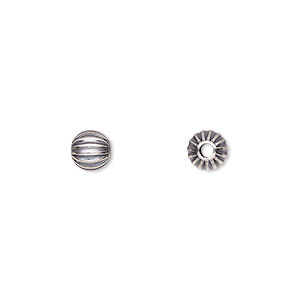 Bead, antiqued sterling silver, 6mm seamless corrugated round. Sold per pkg of 2. Bead, antiqued sterling silver, 6mm seamless corrugated round. Sold per pkg of 50.